We’re bringing back DIY skills workshops! For years, we’ve heard from people like YOU that you want to brush up on your DIY skills. Now’s the chance! Learn the skills needed to operate a power drill, impact driver, and basic hand tools. Sounds deceptively simple, but the skills you’ll acquire are the building blocks for home improvement and craft projects. 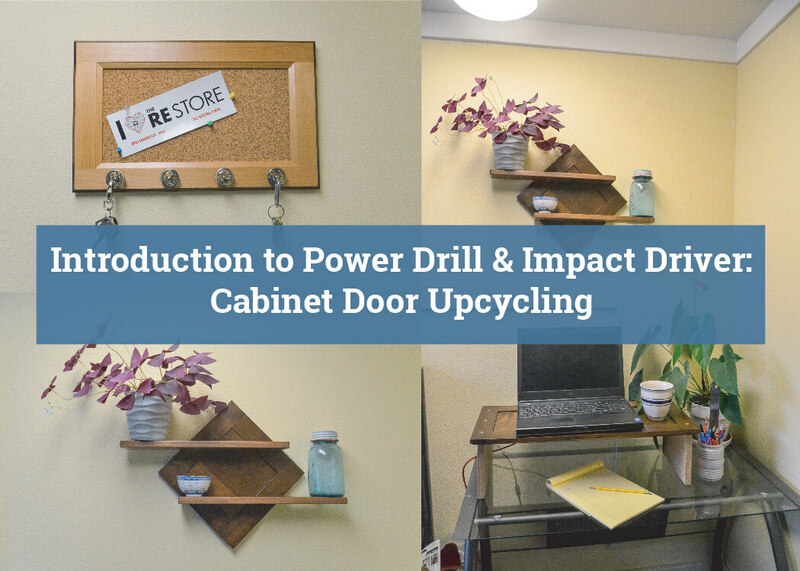 This class is a “make and take” class, giving you the opportunity to build your own DIY project out of cabinet doors. We’ll have a series of examples, allowing you to choose a simple design and learn the skills necessary to bring it to life. By using reclaimed building materials from The RE Store, you’ll learn how to select, work with, and get the most out of reclaimed and salvaged lumber, tools, and more. Come join us in creating something new out of something old. Class fees: Class fee of $20 includes materials. Requirements: Participants must be wearing closed toed shoes. Must be 18 years or older to participate. Sign up: In person or by phone at 2309 Meridian St., Bellingham, WA or 360-647-5921. Only 10 spots available, first come first served.